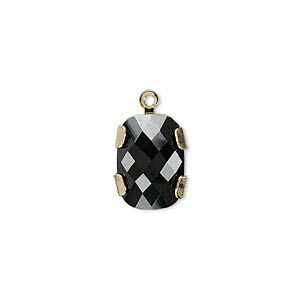 Drop, Swarovski® crystals and gold-plated brass, jet, 8x6mm oval. Sold per pkg of 24. Swarovski crystal drops have incredible flash and elegant style. Long-lasting plated finish over brass gives extended beauty. 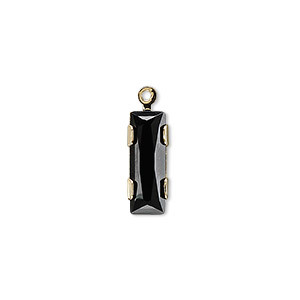 The foil-backed crystals, set with thin prongs, have amazing reflective intensity for brilliant jewelry. 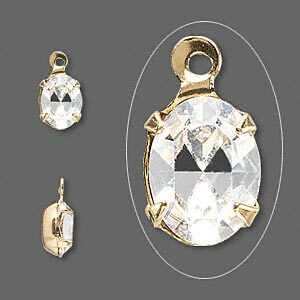 Drop, Swarovski® crystals and gold-plated brass, crystal clear, 8x6mm oval. Sold per pkg of 24. 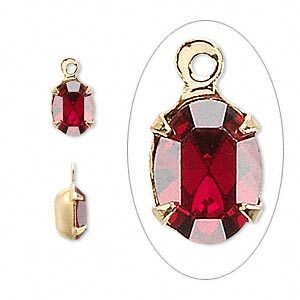 Drop, Swarovski® crystals and gold-plated brass, amethyst, 8x6mm oval. Sold per pkg of 24. 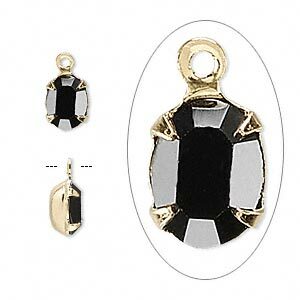 Drop, Swarovski® crystals and gold-plated brass, jet, 14x10mm rectangle (11504). Sold individually. 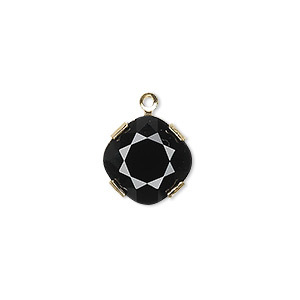 Drop, Swarovski® crystals and gold-plated brass, jet, 18x13mm rectangle. Sold individually. 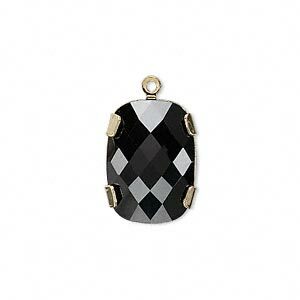 Drop, Swarovski® crystals and gold-plated brass, jet, 19x6mm rectangle. Sold individually. 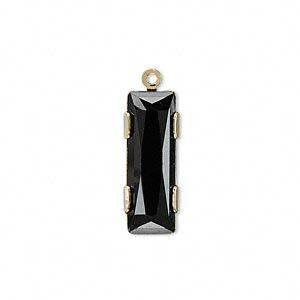 Drop, Swarovski® crystals and gold-plated brass, jet, 25x8mm rectangle. Sold individually.